Determine which European regulations and standards apply to your products. Find out how to do demonstrate CE compliance yourself, and how to leverage your suppliers’ CE certificates. Get CE marking, get access to the European market and grow your business. What makes CE Marking with us so different? When it comes to CE marking, there are many service providers out there that want to sell their consulting, testing and certification services. Our ‘Six Step CE Marking Framework’ helps companies to take control of the CE marking process, reduce the costs and reach results fast. In six steps, our clients determine the applicable CE rules, self-certify the conformity, prepare the required and stay informed about regulatory changes. Our framework can be tailored to your specific needs. We offer personal consulting and coaching, online workshops and tools. Hundreds of companies have grown their businesses by using our Six‑Step CE Marking Framework. 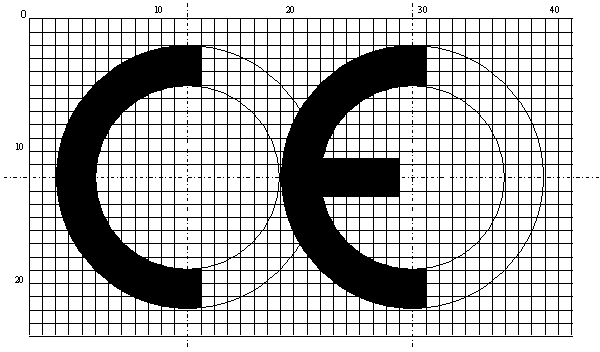 What is CE Mark / CE Marking? The CE marking is a key indicator (but not proof) of a product’s compliance with European Union (EU) health, safety and environmental protection directives and regulations. If your product comes under the scope of a directive requiring CE marking you must ensure the product complies with the applicable requirements and affix the CE mark before placing it in the market in the European Economic Area (EEA) (see “Countries In Which The CE Marking Is Required” below for a description of the countries that are included in the EEA). This is equally valid if your product is manufactured outside the EEA. Second hand products from outside the EEA that are placed in the EEA market for the first time, also require CE marking. Often the CE marking is described as a trade passport because it enables the free movement of products within the European market. According to EU legislation, the EU Member States are not allowed to restrict the placing on the market of CE marked products, unless such measures can be justified on the basis of evidence of the non-compliance of the product. CE marking does not indicate that a product was made in the European Union. The CE mark also is not a quality mark. other markings may be affixed to the product as long as that such markings do not create confusion with the CE marking in form or meaning. There are no specific color requirements for the letters and background of the CE mark. In other words, it is not required to print the letters ‘CE’ in black against a white background. However, the color schemes for the foreground and background should be sufficiently complementary, so that the CE logo is clearly visible. The minimum dimension of the CE mark must be 5 mm in height. If the size is enlarged, the letters CE must be in proportion to the standard version as shown. Please find here example of the CE logo in different file formats: http://ec.europa.eu/enterprise/faq/ce-mark.htm The CE mark sometimes is accompanied by a four-digit number. This is a reference number of the Notified Body that has been involved in the conformity assessment process. The CE marking is affixed on the aforementioned products that will be placed on the EEA and Turkish market, whether they are manufactured in the EEA, in Turkey or in another country. Switzerland is not a member of the European Union, but for some products it accepts the CE marking as a presumption of conformity with Swiss national technical regulations. If you are the importer a product from a third country you have to check that the manufacturer outside the EU has undertaken the necessary steps. You must check that the documentation is available. However, if you import the product but place it in the EU market under your own (brand)name, you have the same obligations as the manufacturer. If you are a distributor you must check the presence of both the CE mark and the user manual, product label and other necessary supporting documentation. Despite what many people believe, a manufacture does not “get” the CE mark from a third party certification body or a European or national authority. The manufacturer affixes the CE marking in his own right and is allowed to do so when all requirements are fulfilled. A test or certification body may be involved in the process merely as a service provider. However, the body will not take over responsibility for CE compliance. Responsibility for CE compliance will always remain with the manufacturer (or private labeler). Continuously monitor developments related to CE directives/regulations and European harmonized standards. Apply new rules and amendments where appropriate. As indicated, products with that bear the CE mark have a free access to the market in the sense that the authorities are not allowed to require all kinds of requirements to be fulfilled. However, that does not mean that the authorities have no right to investigate the product’s compliance. Not only can they investigate, but they can also take measures against infringements. These measures may include withdrawal, recall of products, penalties and criminal sanctions (such as fines and imprisonment) wherever necessary. Please note that there is not a single, European Union enforcement agency or service. Enforcement of CE legislation is performed by national market surveillance authorities, in accordance with the national laws and procedures of the Member States of the EU. These national market surveillance authorities work together closely, sharing information about non-compliant and unsafe products, as well as coordinating their market surveillance campaigns. If a non-compliant CE marked product is discovered in one market, all the other market surveillance authorities will be informed about it by the next morning. Here is an overview of the main CE marking directives. The links will take you to a page with information about the specific directive. What does a CE marking on a product indicate? By affixing the CE marking to a product, the manufacturer declares on his/her sole responsibility that the product is in conformity with the essential requirements of the applicable Union harmonisation legislation providing for its affixing and that the relevant conformity assessment procedures have been fulfilled. Products bearing the CE marking are presumed to be in compliance with the applicable Union harmonisation legislation and hence benefit from free circulation in the European Market. Are all CE marked products tested and approved by authorities? No. In fact, the assessment of the conformity of the products with the legislative requirements applying to them is the sole responsibility of the manufacturer. The manufacturer affixes the CE marking and drafts the EU Declaration of Conformity. Only products which are regarded as presenting a high risk to the public interest, e.g. pressure vessels, lifts and certain machine tools, require conformity assessment by a third party, i.e. a notified body. Where should the CE marking be affixed? Is it enough to put it in the documentation? The marking shall be affixed either to the product or to the product’s data plate. When that is not possible due to the nature of the product, the CE marking shall be affixed to the packaging and/or to any accompanying documents. Is a product with CE marking always produced in the EU? No. The CE marking only signals that all essential requirements have been fulfilled when the product was manufactured. The CE marking is not a mark of origin, as it does not indicate that the product was manufactured in the European Union. Consequently, a product affixed with the CE marking may have been produced anywhere in the world. What are the sanctions for counterfeiting the CE marking? The procedures, measures and sanctions that apply to counterfeiting of the CE marking are laid down in Member State’s national administrative and penal law. Depending on the seriousness of the crime, economic operators may be liable to a fine and, in some circumstances, imprisonment. However, if the product is not regarded as an imminent safety risk, the manufacturer may be given a second opportunity to ensure that the product is in conformity with the applicable legislation before being obliged to take the product off the market. Who supervises the correct use of the CE marking? In order to guarantee the impartiality of market surveillance operations, the supervision of the CE marking is the responsibility of public authorities in the Member States in cooperation with the European Commission. End the confusion. Get a clear roadmap for the CE marking process. 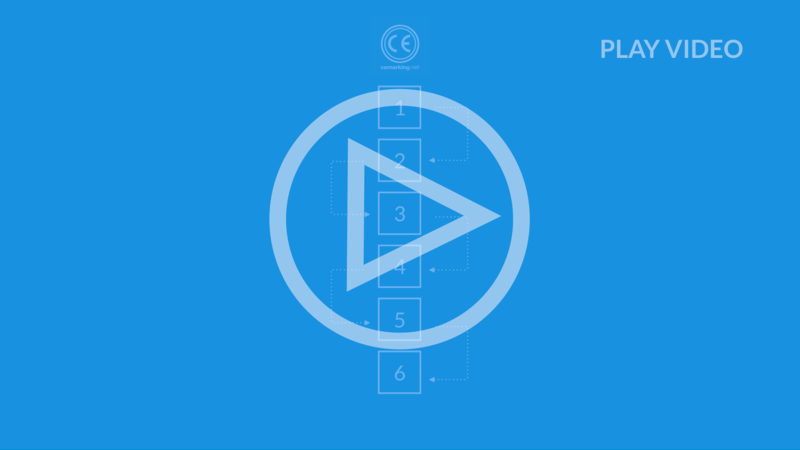 Our ‘Six Step CE Marking’-framework helps you take control of the CE marking process and reach results fast. Click the ‘Start Now’-button below, fill out the form and we’ll advise you what solution will best fit your needs.